"We're here to get you there. Discover the career opportunities that await you." 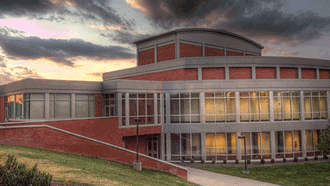 Northeast State Community College (NeSCC) is a public, comprehensive community college with technical education and college transfer programs. The school strives to tailor its programs and services to meet the special needs of a diverse student body numbering more than 5,800. Northeast State offers associate degrees in more than 50 programs of study, which can be transferred to a number of local and regional four-year colleges and universities. The school also offers associate of applied science degrees in more than 30 programs of study, such as business management, nursing, computer science, criminal justice, and office administration technology that prepare students for immediate entry into the workplace. In addition, Northeast State offers academic and technical certificates in over a dozen areas of study. Northeast State also offers a large program in continuing education and professional development courses. These programs help students update and hone work skills and aid companies with workforce development. Northeast State holds the distinction of being recognized as a VETS Campus by the Tennessee Higher Education Commission in recognition of the college's support of student veterans. It is also recognized as a 2015 Military Friendly® higher education institution for exemplary practices in recruiting and supporting post-military students.